Minister of Health Chitalu Chilufya has addressed the 70th World Health Assembly in Geneva, Switzerland with a call for all countries to take health services within the reach of families. Dr. Chilufya says energies must be concentrated in ensuring effectiveness and efficiency at the front-line of service delivery as this is where lives are gained or lost. He has also challenged the World Health Organisation – WHO – to lead the global, regional and national transformational view of health as an economic asset. Dr. Chilufya stated that healthy populations are the foundation of economic growth, as they provide the productive workforce to develop a country. He further told the gathering of Health ministers from across the globe that health assures an income earning population that serves as consumers to provide demand for goods and services. The minister stressed that the WHO must therefore begin talking about global investment in health not as a charity or humanitarian event, but as a solid economic investment. Dr. Chilufya also used the opportunity to congratulate Dr. Tedros Adhanom on his election to the High Office of Director General of the World Health Organisation. The minister also informed the Assembly that Zambia is now one of the few countries in the world which has instituted a “National Health Week” in which President Edgar Lungu leads the whole country into a week-long of activities. Am impressed by how hardworking our government is, no wonder Zambia as a whole loves EL. Mushotas alter ego responds again. Munone the chosen one responds with his high level of intellect. 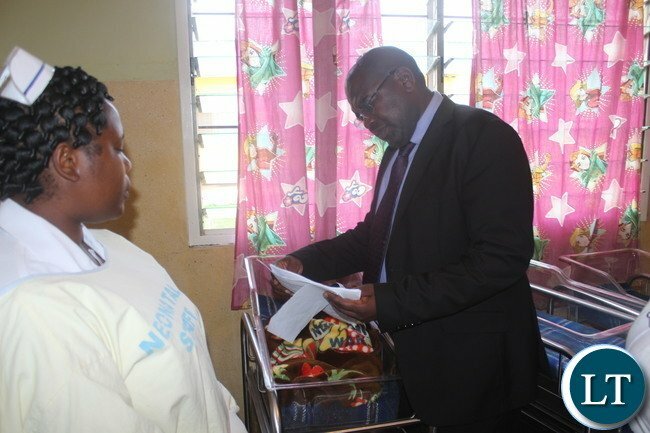 The Minister is sowing the seeds of a request for WHO financial support. Again a minister telling the world how good we are. We are so insecure as a government we have to continually blow our own vuvazela.